When Afro Celt Sound System burst onto the scene in 1995, there were many purists who criticised what they were trying to do. Like chilli and chocolate, the combination of traditional Irish and West African music doesn’t sound as if it would work. And then to compound that by chucking in a mix of electronic sounds and drum and bass beats was, for some, tantamount to sacrilege. Creativity is rebellion. Anything useful or beautiful that was ever created, whether it’s a new line of genetic code or a new melody, begins as a deviance. Some of these deviations may turn out to be unsuccessful, leading to genetic disorders or bad music. But others turn out to be adaptive, like opposable thumbs or the electric guitar, and then they go on to establish themselves in the population, enriching us all. That fateful Dylan gig at The Manchester Free Trade Hall was in 1966. I don’t need to tell you who had the last laugh. 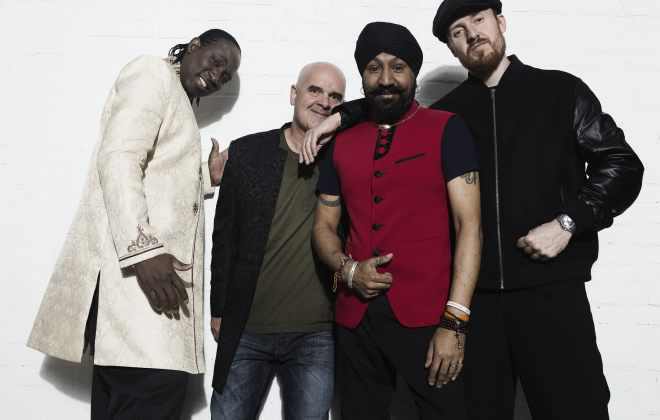 Last year Afro Celt Sound System released their sixth studio album. It’s their best yet: a rolling, tumbling force which sweeps from mellow twangling kora to highland poetry, building into crescendos of soaring African vocals and Indian Banghra. At its peaks, their music has a stirring tribal intensity, speaking to something within us that feels raw and primal. It’s like Braveheart went to a psytrance rave. At the heart of what Afro Celt Sound System are about is the recognition that cultures are not static, but evolving, living entities. Languages, businesses, religions, cuisines and music all undergo variation and selection just like biological organisms, except rather than being composed of genes, cultural phenomena are composed of memes. To give a more concrete example, let’s say it’s 2010, and someone mixes a brand new combination of drum and bass and 1920’s swing, records a song and uploads it to Soundcloud. If the song is jarring and repetitive, it may spread a bit as they show it to their immediate circle, but will soon end up languishing in obscurity. But if it makes people smile and move their feet then it will quickly spread through recommendations and shares on social media until it reaches more producers, who adopt the style to make new songs of their own. Then suddenly you get a whole new subgenre called swing and bass. None of this could happen if they had not first been exposed to both swing music and drum and bass: just as the genetic health of a population benefits from a diverse gene pool, so too our cultures are enriched when they can draw from diversity. This broader evolutionary perspective was sorely missed in the recent immigration debate. A lot of the animosity towards immigration seems to come from a fear that the British way of life is being eroded, that we are losing something precious. In reality of course, there is nothing to fear. If British cultural memes are indeed worth holding on to, then cultural evolution will naturally ensure that they spread and flourish. With or without our help, they’ll simply play out well in the evolutionary field. The only values that need our protection are those that, from an evolutionary perspective, aren’t adaptive. But clearly plenty of British cultural memes are adaptive: for every young man who is radicalised there are a thousand second generation immigrants who soften their stance, becoming more open and liberal. Aspiring Chinese families go to extraordinary lengths to have their children educated here. The whole world listens to our music. If you are really committed to British cultural values then you should be welcoming immigration as a new outlet to help them spread, so that people born thousands of miles away can learn the benefits of unnecessary apologies and warm beer. And in return we benefit from the pick of cultural practices from the entire world: acupuncture, peshwari naan and the beautiful sound of the kora. Which just happens to sound epic with bagpipes.